A definition of good health is “the state of being vigorous and free from bodily or mental disease”. The World Health Organization (WHO) constitution states that “health is a state of complete physical, mental and social well-being and not merely the absence of disease or infirmity. 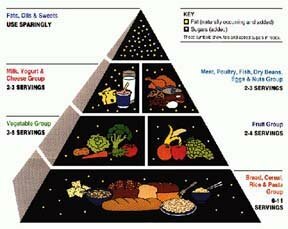 Knowing what to eat, Proper diet and Nutrition. •	Avoid taking junk and toxic food. Scientists are looking at the causes of the deteriorating health of the population and it is now apparent that not only is the type of food we are eating important, but also what manufacturers are adding to our food products. Food additives have the purpose of adding taste and color to over-processed food that has little natural flavor and color left. Some of these additives are no better than poison. These substances that accumulate in our body weaken the immunes, causing long-term harm. It will aids in preventing many illnesses and problems. We have to learn how to make the correct food choices because what we eat will determine our degree of optimal wellness. Eating foods that remain in the body for too long and become fermented, toxic, putrid waste will negatively affect our health. •	Neurodegenerative diseases: for example Alzheimer's Disease has more than doubled since 1980. Science News predicts that Alzheimer's Disease will quadruple by 2050. Eat more salads, whole grains, fruits and veggies and avoid the fried foods, burgers and sugar. Healthy eating includes eating at least five portions, and ideally 7-9 portions, of a variety of fruit or vegetables each day. Fruit and vegetables include fresh, frozen, tinned, or dried varieties, and fruit juice. On average, people who eat lots of 'fruit and veg' tend to be healthier and live longer.They are rich in vitamins and minerals which keep the body healthy. They also contain chemicals called 'anti-oxidants', such as carotene, which are thought to protect against damaging chemicals that get into the body. 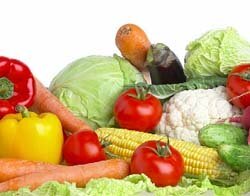 Fruit and vegetables also contain lots of fibre which help to keep your bowels healthy. Problems such as constipation and diverticular disease are less likely to develop.They contain plenty of vitamins and minerals, which are needed to keep you healthy. Fruits & vegetable are naturally low in fat, and are filling but are low in calories. So, are ideal to keep your weight in control.One study showed that, for people of the same age, there were about a quarter less deaths in those who ate lots of fruit and vegetables compared to those who did not. This was mainly due to a reduction from three common causes of death - heart disease, stroke, and cancer. •Drink plenty of Water.Water is absolutely essential to the human body’s survival. A person can live for about a month without food, but only about a week without water. 80% of our bodies are made up of water. But most people don't drink enough water to keep your body hydrated. so be sure to drink plenty of clean water daily, it is important for good health,. It helps to maintain healthy body weight by increasing metabolism and regulating appetite. Water leads to increased energy levels. The most common cause of daytime fatigue is actually mild dehydration. Water regenerates greater health by flushing out wastes and bacteria that can cause disease and aids in the digestion process and prevents constipation. Water is the primary mode of transportation for all nutrients in the body and is essential for proper circulation. Drinking adequate amounts of water can decrease the risk of certain types of cancers, including colon cancer, bladder cancer, and breast cancer. For a majority of sufferers, drinking water can significantly reduce joint and/or back pain. Water can prevent and alleviate headaches. It naturally moisturizes skin and ensures proper cellular formation underneath layers of skin to give it a healthy, glowing appearance. Regular exercise is another cornerstone of healthy living as we age. As our body slows down, we might be tempted to skip the exercise because it is harder to do and feels the challenge physically. This is the wrong thing to do. The most important thing to remember about exercise as we get older is that it does not need to be strenuous, it just needs to be consistent. Regular physical activity will help our body function more effectively in many ways. It helps with weight loss and maintenance, combats anxiety and depression, keeps bones, muscles and joints working properly, relieves symptoms of arthritis and reduces the risk of heart disease, high blood pressure, diabetes and some types of cancer. As we age, we might need to change the types of exercise we do, but anything that gets us moving is good. Walking, housework, gardening and even babysitting the grandchildren can count as exercise. Finding a way to build regular physical activity into your daily routine will yield great results. •	Sweating is good. Normally, we associate exercise with sweating. Benefits like improving sleep, relieving symptoms of depression, enhances immune function, and reduce stress level, helping the body to expel toxins and disease from our system. Many viruses and bacteria can’t live in temperatures above 98.6, so in many cases, sweating literally burns away illness. However, most of us hardly move and hardly sweat anymore. Sweating can be achieved mainly through exercise, saunas or sunbathing. An excellent way to sweat a lot is to use saunas, especially	infra-red saunas. • Having good blood circulation. 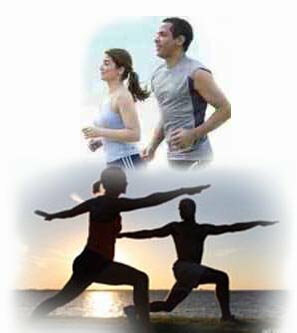 Whether you like it or not,we need to exercise regularly, exercise enhance blood circulation. Stimulating blood circulation will assist just about every body process and improve every system of the body. It will improve the transport of nourishment, the elimination of toxins, and the function of the Heart, Liver, Kidneys and Lymphatic (Immune) System. Blood and lymphatic circulation are critical to move nutrients to and remove wastes from your cells. Exercising regularly is important, don't sit there and let your body stagnate!, besides exercise, there are other ways to improve your circulation, Go join a gym, pick up a sport, have a massage, foot reflexology or sauna, practice tai chi or chi gong, if you are in a sedentary (desk-based) job, get off the bus a few stops early in the morning or take a long walk at lunch time. Take your dog for a walk is another great way of getting exercise. •	Oxygenate your body. One of the basic elements of all life on earth is oxygen.Without it, we die within minutes, if not seconds. All of the functions of your body are regulated by oxygen. The ability to think, feel, move, eat, sleep and even talk all depends on the energy oxygen generates. Your brain needs oxygen to process information and your body uses it to metabolize food and to eliminate toxins and waste through oxidation. Oxygen energizes cells so they can regenerate and it provides vital cellular flexibility. 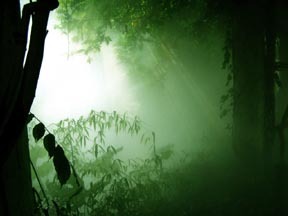 A lack of oxygen results in sickness, poor vitality, poor stamina, fatigue and a generally weak disposition. Our air today has less oxygen than it did a hundred years ago. On top of that, it is heavily polluted with toxic gases. Add in the fact that most of us don't exercise regularly and practice shallow breathing, we are not getting enough oxygen into our cells and tissues. Poorly oxygenated cells are a major cause of many serious diseases, including cancer. You can get more oxygen into your body by doing deep breathing exercise, meditating, aerobic exercise, and going to more oxygen-rich places, such as nature reserves and beaches. Use a air purifier to enhance the quality of air in enclosed and crowded area within the house and office premises. Having adequate of rest for your body. Our lives sometimes seem so busy that we don't have enough hours to devote to sleep. But there is no doubt about it, sleep and rest are two essentials of a healthy lifestyle. Getting enough sleep is vital for our health. Sleep is restorative to both our bodies and minds. The purpose of sleep is to give the body time to recharge and rejuvenate itself, repair and rebuild the cells, and to detoxify and depress physiological function, rest allows the body an opportunity to restore energy levels. We need to have at least 7 to 8 hours of sleep every night, Try to go to bed by 10pm, as the best period for the body to repair and heal itself is between 10pm and 2am. Avoid bedtime snacks, especially refined carbohydrates and grains. These tend to raise blood sugar which will inhibit sleep and then later cause a drop in blood sugar which causes hunger and wakefulness. Avoid caffeine, alcohol, and any unnecessary drugs as well as foods to which you may be sensitive. Get adequate sunshine during the morning hours and sleep in as close to total darkness as possible. Try to keep the temperature of bedroom at 70 degrees or slightly below for a more restful (and energy saving) sleep. Wear socks to bed if you get cold. Take some time every day to sit quietly and meditate. Concentrate on calming your mind and relaxing your body, these habits are critical for regenerating wellness. • Avoid being stress.Stress can affect many systems in our bodies, so it's important to try to reduce it as much as possible. Learn better time management skills. Think about which things are most important, and do those first. Regular exercise is one of the best ways to manage stress. Walking is a great way to get started. Take a vacation, even if it is just a long weekend. Either do nothing or do something you find relaxing. Try to lighten up and laugh. Forget your responsibilities just for a little while and go see a movie. Go for a good massage from a massage therapist. Talk to someone you can trust. Don't hold your feelings in. People who have a strong network of family and friends generally experience less stressful lives. Learn meditation techniques and practice positive thinking skills, develop a mind-set of thinking positively, in this way, it will lead to a lifetime of happiness and joy. This way of thinking has helped countless people live happier lives. • Developed positive attitude and mindset. Always look on the bright side of life, smile and be happy. Have a sense of humor, and laugh more. Manage your stress levels and reduce worry and anxiety. Avoid dosing yourself with bad news and negative people; the TV news and newspapers are filled with unnecessary bad news -- if possible, avoid them. If there are issues, such as grief, manage and deal with them. Mental and emotional stress and trauma suppress our immune systems, and also release many harmful toxins into our bodies. Do not be governed by fear. A positive outlook is critical for good health and recovery from serious diseases. Detoxification It comes in many forms and refers to many different programs that cleanse the body of toxins. Today, our environment is toxic and the foods we eat, even the air we breathe and the water we drink is laden with chemicals foreign to our system. Therefore, everyone is undergoing some type of detoxification to maintain life and health. We will soon see why these organs are so important in detoxification. Detoxification for the body may refer to the cleansing of the bowels, kidneys, lungs, the liver or the blood, since these are the organs involved in detoxification of chemicals and toxins from the body. The liver acts as an "in-line" filter for the removal of foreign substances and wastes from the blood. The kidneys filter wastes from the blood into the urine, while the lungs remove volatile gases as we breathe. Are you exposing yourself to enough sunshine for vitamin D? Sunlight exposure is truly one of the most powerful healing therapies in the world, far surpassing the best efforts of today’s so-called “advanced medicine.” There is no drug, no surgical procedure, and no high-tech procedure that comes even close to the astonishing healing power of natural sunlight. The proper amount of sunlight can have healing and cleansing effects on the body. While too much sun can cause adverse effects on health, too little can have negative health effects also. Vitamin D is produced by your skin in response to exposure to ultraviolet radiation from natural sunlight. Fifteen minutes of sunlight every day could prevent nearly 100% of osteoporosis cases in that it stimulates the skin to produce Vitamin D which is absolutely necessary for calcium absorption and utilization. It is obvious that we need sunlight for good health. One of its greatest benefits may be the strengthening of the immune system. Healthy lifestyle can help you reduce your risk for chronic diseases. Learn what you can for disease prevention and have a better quality and healthy life.